Energy as a Service is the latest business model innovation to arrive in the energy supply industry. In short it is all about moving away from buying energy on a per unit (p/kWh) basis and moving towards a fixed fee per month within certain volume thresholds; akin to how we pay for mobile phone contracts. Energy as a Service has emerged off the back of disruption to the way we supply, consume and now ultimately buy energy, which has fundamentally changed energy market economics. Traditional per unit models work where the dominant cost in delivery of the product or service scales according to the volume used. This was true when the majority of power supplied came from sources that required a fuel input e.g. coal and gas. The more energy consumed the greater the proportional cost of buying and burning that fuel to generate more kWhs of power. Other components which make up the total ‘at-the-meter’ price have also been charged on a per unit basis to ensure those who use more of the electricity network pay more for it; government taxes, utility profit margins and network charges (with some time-of-use element). However, when you start to use zero marginal cost power the economics get flipped on their head. Renewable ‘fuel’ is free, so the dominant cost in consuming energy becomes the infrastructure needed to deliver it. 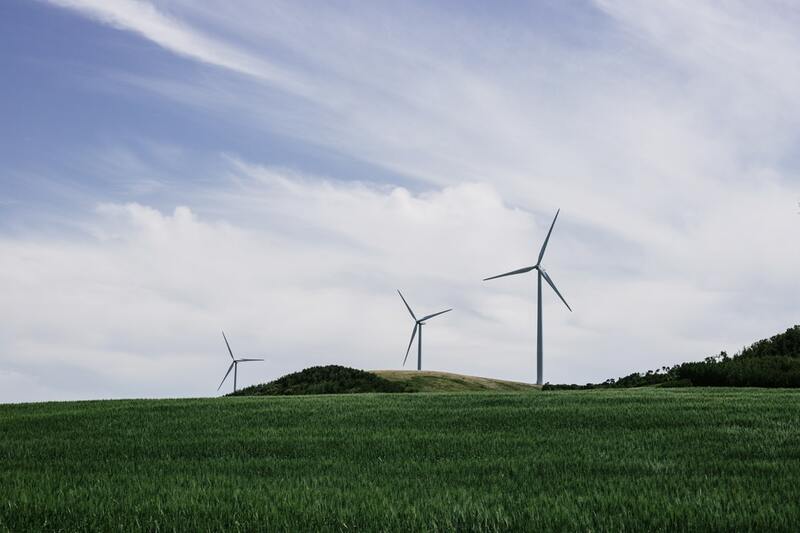 Wind turbines, PV panels, transmission and distribution cables have low operational costs once built, so the initial capital expenditure is where the dominant cost lies. Across Europe average wholesale prices now reflect wind and sun patterns more than the cost of coal and gas, and at periods of low demand and high renewable output we consistently see negative prices. Clearly change is needed as consuming more energy at these times is beneficial to the whole system but a per unit charging mechanism disincentivises users from doing that. Enter, Energy as a Service. Already we are seeing a shift in network charging towards capacity-based charges instead of use-of-system charges. Wholesale prices are not far behind; the task becomes providing the flexibility to firm up renewable output. Thanks to the digital revolution described above this flexibility can come from consumers’ demand, cost-effectively tapping into flexibility inherent in distributed energy resources behind-the-meter. Take a given offshore wind site, with known capacity factors of about 50%. It is possible to quantify the amount of flexible energy needed to ensure 99% of customer demand is met at all times. Using existing business assets means it is possible to take advantage of zero marginal cost flexibility in everyday processes (such as heating, cooling, pumping, battery storage and CHPs), avoid unnecessary infrastructure upgrades and minimise efficiency losses in transporting power. Once it is understood how much flexible power is needed to firm up the output of renewable generation the next task is what technologies do you use to meet that flexibility requirement. Artificial intelligence-powered flexibility platforms – like Open Energi’s Dynamic Demand 2.0 technology – which can manage distributed energy resources in real-time, are critical. They can evaluate the amount of flexibility in existing power-consuming assets and processes – in addition to any battery storage and/or flexible generation (such as CHPs) – and map demand to supply. This then becomes a constant, real-time scheduling problem for the platform to manage; invisibly ramping processes up when wind is abundant and storing as much power as possible, or turning processes down to a stable minimum and discharging batteries or using a CHP when wind output is low. If real-time scheduling isn’t maintained, the cost structure breaks down, so the reliability of these platforms is critical. What is important to recognise here is that below a certain demand threshold the marginal cost of putting in place this service is the cost of operating the wind and the software required to schedule behind-the-meter flexibility. This is why Europe’s utilities are making huge investments and acquisitions in virtual power plant technology. 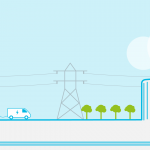 By doing so the costs of delivering energy become fixed and predictable and scale with size of connection instead of actual usage. Exactly like the mobile phone industry where the marginal cost of sending a packet of data is immaterial in comparison to network costs of all infrastructure. For Open Energi Energy as a Service has always been the natural end-game in maximising the value of Demand Response. It shelters consumers from the continuously changing and complex incentives of the existing Demand Response markets, and instead offers a simple proposition: “By installing demand response software across a range of assets you can pay a lower fixed monthly fee for your energy”. The clarity and certainty offered by Energy as a Service makes it easy to structure simple, long-term financing solutions for different technologies – e.g. solar PV, energy storage, CHP – and allows businesses to concentrate on what they do best. All the complexities of power procurement and demand response markets are removed in place of a known fixed fee per month that ensures reliable, clean and affordable energy. This blog was originally posted on Current News.